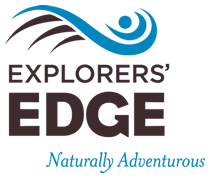 Explorers’ Edge/RTO12 is requesting proposals from qualified professionals for creative services to development VIDEO & PHOTOGRAPHY to be used in online and offline marketing materials. The EOI would also require the applicant to articulate execution of the following program against a budget not to exceed $13,000. Any potential additional fees must be indicated in the respondent’s proposal. Please forward all documents and request for further information to James Murphy, Executive Director, at james@explorersedge.ca or (705) 706-1649 on or before Friday September 4, 2015 at 4.00pm.